Manasbal Lake is located about 30 km north of Srinagar, the summer capital of Jammu and Kashmir State. It has predominantly rural surroundings with three villages, Kondabal, Jarokbal and Gratbal overlooking the lake. Manasbal is considered as the 'supreme gem of all Kashmir lakes' with lotus (Nelumbo nucifera) nowhere more abundant or beautiful than on the margins of this lake during July and August. 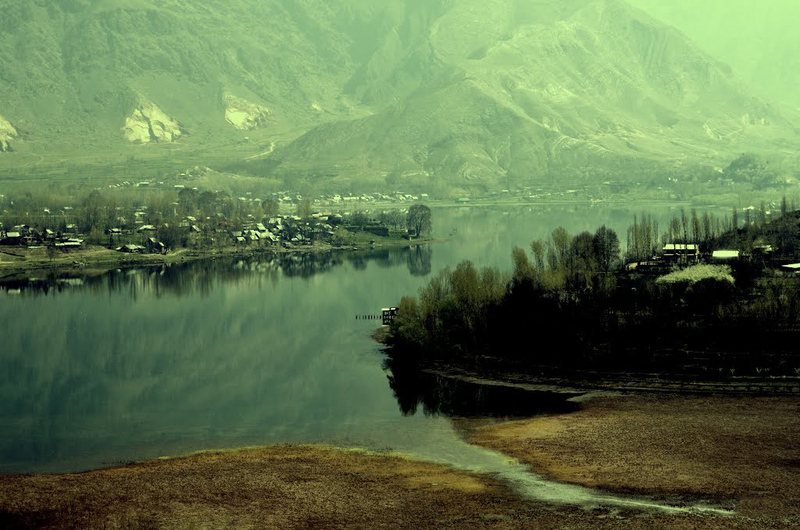 It is the deepest lake of Kashmir valley and perhaps the only one that develops stable summer stratification. Manasbal is classified as warm monomictic lake and circulates once in a year for a short time. The other lakes in the region either have weak stratification or are polymictic. Close to the northern shore are the ruins of a fort which was built in 17th century by a Moghul king to cater the needs of caravans that used to travel from Panjab to Srinagar. On the south, overlooking the lake is a hillock-Ahtung which is used for limestone extraction. The eastern part is mainly mountainous and towards the north is an elevated plateau known as 'Karewa' consisting of lacustrine, fluviatile and loessic deposits. The lake has no major inflow channels and the water supply is maintained through spring water inflow and precipitation. An outlet channel connects the lake with the Jhelum River. The outflow of water is regulated artificially. The local population uses the lake as a source of water, for fishing and for obtaining food and fodder plants. Many people are involved in harvesting and marketing of lotus rootstocks which are extensively eaten in the State. In recent years, tourism has caught up with the Manasbal Lake in a big way and as a consequence there are lots of pressure on the terrestrial ecosystem which is being exploited at many places. The origin of the lake is still unresolved but there is no denying the fact that Manasbal is very ancient. The local people believe in the legend that the lake is bottomless. Over the years as a result of human pressure the lake has become eutrophic. The water body is virtually choked with submerged weeds particularly during summer which is the high tourist season. The deep water layers become anoxic with considerable accumulation of hydrogen sulphide. Another good water skiing option is Manasbal Lake, with a mirror like sheen on its surface becomes an attractive water sports resort, approachable from Srinagar by road. In Kashmir from May to the end of August, that's covering the whole summer season; water of the lakes remains pleasant for water sports. If someone wants a night stay over there then the tourist's huts and bungalows are also available on all the above lake resorts.